Who would have thought that Cleveland would become a food mecca and home to some of the best chefs and restaurants in the world? We would! With almost 120 distinct ethnic groups in Cleveland it was inevitable that the great recipes and techniques that have been passed down for generations would surface. The videos on ClevelandCooks will educate and entertain. The tips will help you prepare and enjoy food better. The People’s Choice Award went to Bill Azman’s Quality Meats with Raddell’s Slovenian Sausage Shop as the runner-up. 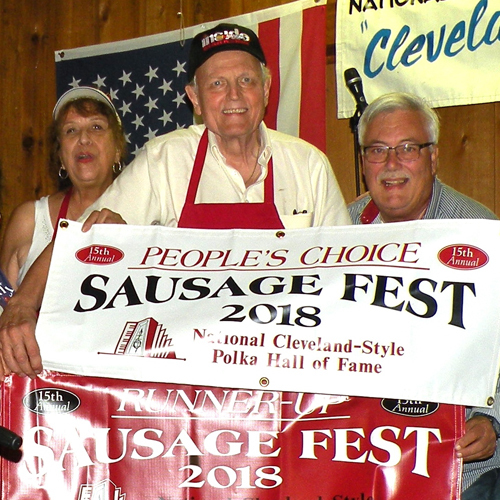 A panel of judges picked Hocevar’s Maple Heights Catering for top sausage of 2018 with Bill Azman’s as runner-up. All three sausage vendors are based in the Cleveland, Ohio, area. Discounts, Coupons, Specials, Events and more. Sign up for the free ClevelandCooks eNews to be the first to learn about these specials. Did you know: Coffee was first discovered and used in Ethiopia?